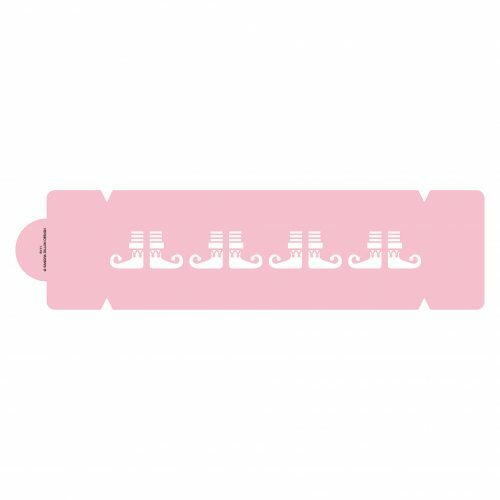 Our Elf Boots Cake Side Stencil is part of our mix and match range – perfect for adorning festive cakes. Each mix and match stencil is based on a one inch grid. For example the image above shows eight pairs of elf boots. Each pair of elf boots is centred in a one inch square and can be repeated horizontally if necessary. What’s more the depth of each stencil is ALSO based on the same grid and is exactly three inches high. This means that any combination of multiple rows is a breeze to stack. Identical notches are also added for easy vertical alignment.